The India is the nation which celebrates different holidays & festivals. There are many national holidays like Republic Day, Indepenedence Day & many more. 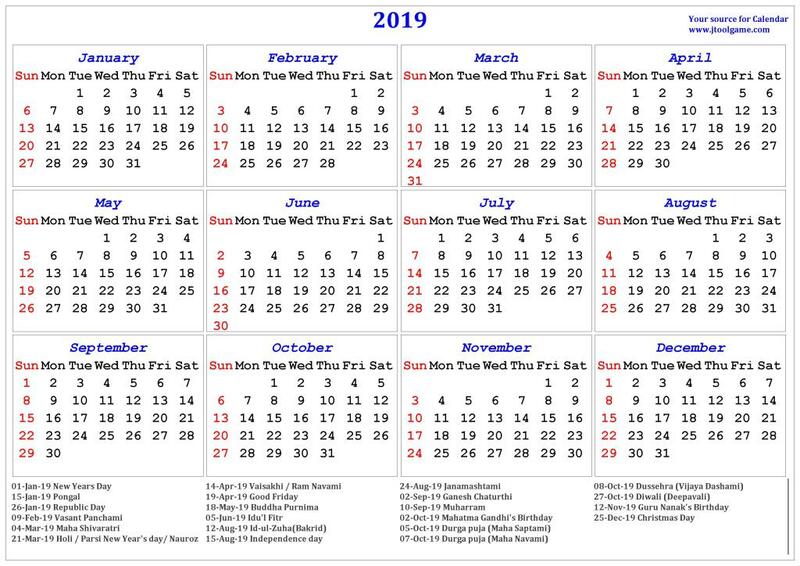 Calendar 2019 with Indian Holidays are going to shared below in various calendar designs & formats. There are varoius religions like Hindu, Jain, Muslim, Christian & each religion has their own festivals & events which celebrate with great enthusiasm & happiness all over the india. 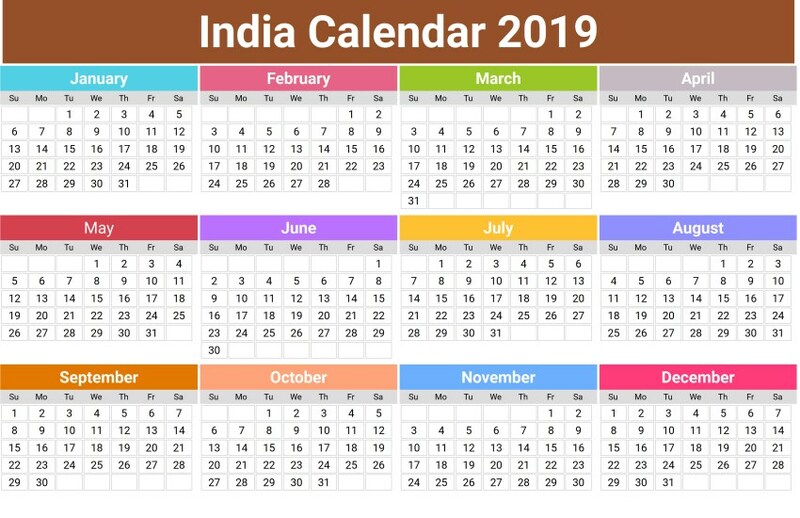 Here in this images you will find all the holidays of india with state wise like tamil, telutu, marathi, malayalam & more. Thursday March 21 Yaosang 2nd day Manipur. Sunday April 07 Cheti Chand Gujarat only. Friday May 24 Birthday of Kazi Nazrul Islam Tripura only. Monday June 17 Sant Guru Kabir Jayanti Gazetted holiday in Haryana, Himachal Pradesh, Punjab. Sunday September 29 Mahalaya Karnataka, Odisha, Tripura, West Bengal only. Sunday October 27 Deewali Deepawali. Except Assam, Kerala, Tamil Nadu, Tripura, West Bengal. Monday October 28 Vikram Samvat New Year Gujarat only. Tuesday October 29 Lakshmi Puja Odisha, Tripura, West Bengal only. Tuesday October 29 Bhai Bij Gujarat only. Friday November 01 Haryana Day Haryana only. Friday November 08 Wangala Festival Meghalaya. Second week of November. We hope you like our collection if yes then do not forget to share Calendar 2018 with Indian Holidays and Festivals on Instagram, Pinterest, Twitter, Whatsapp & LinkedIn. Do share your feedback with us in the comment section below. Stay tuned with us for more updates so bookmark our website.